Free Pizza Slices at Dirty Water Dough Co Grand Opening! I mentioned this in my Cheap Weekend Fun post for this weekend but I wanted to highlight it because it’s even better than I initially thought. 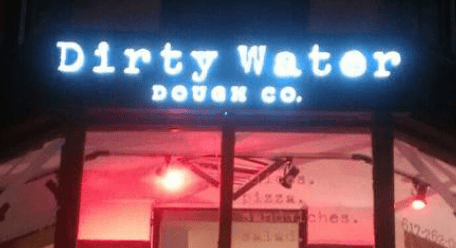 New pizza company Dirty Water Dough Company is having their Grand Opening this weekend and is giving free pizza slices! For more information, please visit Dirty Water Dough Co’s facebook event page. Yum! EDIT: If you want free pizza, I would get there on the early side just in case they run out and such. Also, the times are on their Facebook page has changed a time or two in the last few days (unless I’m going crazy, which is plausible).